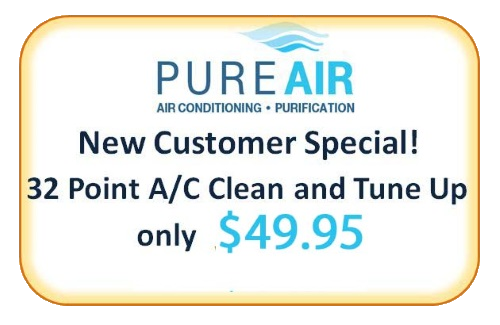 Pure Air backs all of our installations with a Lifetime Workmanship Warranty. Because of the attention to detail that Pure Air installers provide and the quality of materials supplied, we can confidently include this warranty on all systems we install. 2. Any copper line sets we install above ground. 3. Hurricane straps, equipment pads, and anti-vibration pads. 4. Insulation on copper suction lines, in and out, and the protective covering over them. 5. Emergency drain pans installed with new equipment and insulation on drain line. 6. Ductwork installations, and any added ductwork to existing duct systems we installed. 7. High voltage electrical wiring, conduit, fittings, straps, clamps, and terminal connectors we installed. -excluding thermostat wire. 8. Air handler support structure, whether hanging in the garage, in attic, or on a stand. This includes steel threaded rod and hanging channel. 9. Liquid line drier, mastic, and aluminum tape seal at the air handler. With this exclusive Lifetime Workmanship Warranty, we feel we set ourselves apart from the competition and give you, our client, the additional value and peace of mind that you deserve. Should you ever have a situation where this warranty applies, please do not hesitate to call our office. We will gladly make it right for you. Earning your trust and satisfaction is our number one priority. We accomplish this by providing the above warranty and paying attention to the details. Your referral to a friend, family member, or neighbor is our goal. 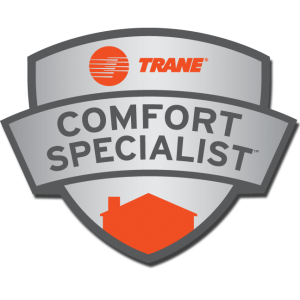 We rely on our customers to spread the word of quality installations, meticulous service, and an all around excellent experience!